A new spot for early morning and late-night buzzes is coming soon to 78704. Stonehouse Coffee + Bar opens March 27 at 1105 South Lamar Blvd., next to Gibson Street Bar. The concept, announced in September, comes from the team behind Gibson, Mean Eyed Cat, Rattle Inn, Star Bar, The Wheel, and many more. Several partners are also involved in the newly revamped Lala's Little Nugget and neighboring Stubb's Bar-B-Q in Crestview. Mirroring the laid-back aesthetic of its sisters projects, Stonehouse is located inside a quaint stone house that dates back to the 1900s. Michael Hsu Office of Architecture led a renovation of the homey space, which now includes a front deck and outdoor seating. "Stonehouse is a perfect addition to Austin's already historical reputation," says partner Matt Luckie in a release. "The building is beautiful, the menu options are fresh and unique, and our outdoor seating area is surrounded by six big oak trees, which really helps bring it all together." 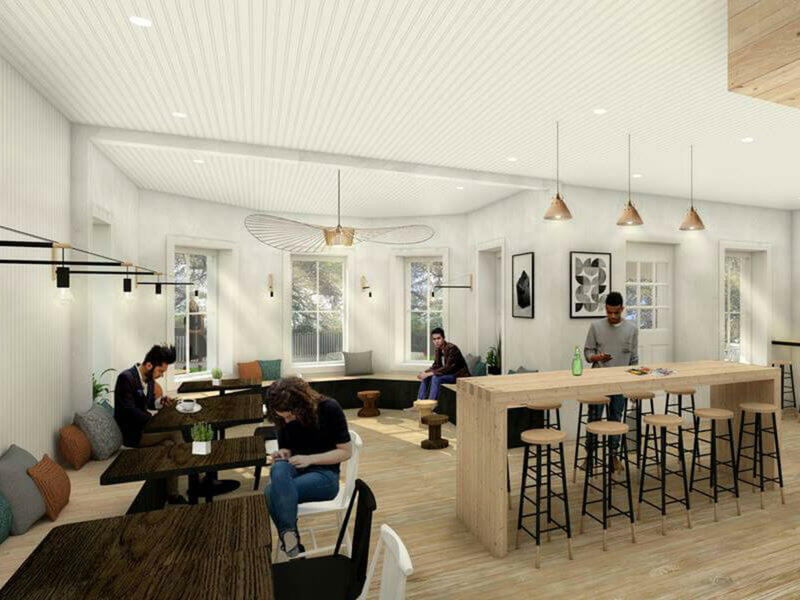 Stonehouse will serve craft beer and wine, as well as local Cuvee Coffee, including the local brand's famous Black and Blue cold brew. Pastries from Quack's 43rd Street Bakery and gelato from Austin Gelato Company will be complemented by savory options from Burro Cheese Kitchen food truck, which will serve its lineup of top-notch grilled cheese sandwiches for breakfast, lunch, and dinner. Hours are 7 am to 2 am daily.